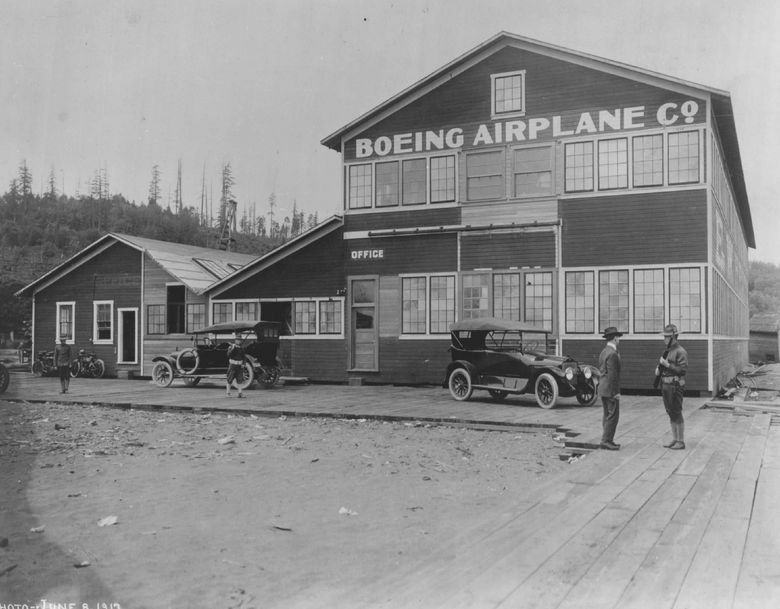 The Boeing Co. began in a wooden building on the Duwamish River. Boeing’s centennial birthday is an opportunity to reflect on the immeasurable contributions the company has made to the region, state and nation. ONE cannot overstate the profound influence Boeing has had on the Puget Sound region, Washington and the rest of the United States over the last century. Since Bill Boeing launched his first floatplane on Lake Union and started his company in 1916, Boeing flying machines have gone on to connect continents, modernize travel and reach space. They’ve helped America defeat tyrants, win world wars and maintain its strength and security. The airplanes are glorious and inspiring — marvels of engineering, manufacturing and safety. Still, they are only part of the story. Designing and constructing the world’s best aircraft year after year, decade after decade, requires continual advances in technology, manufacturing skills and business operations. That’s no mean feat for a 100-year-old. The public also deserves credit for supporting Boeing’s work along the way. Although Boeing’s future in Washington state is less certain, the company’s centennial is still an opportunity to reflect on how well this investment has performed. Public support has ranged from early government contracts boosting the fledgling plane builder to the federal incubation of aluminum smelters and hydroelectric dams that provided Boeing with power and materials as its scaled up during World War II. More recently, public support has come from state tax incentives securing the next generation of carbon-fiber jetliner manufacturing in Boeing’s native territory. Dividends from these investments are immeasurable. For instance, it’s no coincidence that top software companies grew up alongside Boeing, Seattle’s original and biggest high-tech venture. Boeing has kept Seattle on the leading edge of technology since its inception. It was one of the largest customers of computers as they proliferated in the 1960s, creating a cluster of expertise that trickled down to teenagers named Bill Gates and Paul Allen. They started Microsoft, of course, which later motivated Jeff Bezos and many others to build tech companies in the Seattle area. More recently, Bezos and other space entrepreneurs are building spacecraft companies in the Puget Sound region, once again drawing on a cluster of expertise developed by Boeing. Really, Boeing has provided the ingredients needed to produce generations of successful entrepreneurs. Through ups and downs, Boeing jobs have been a cornerstone of the Puget Sound region’s middle class. The company has also long drawn talented people from around the country and world, including scientists and engineers, to develop some of the most complex and advanced machines on earth. This workforce and the company in turn are strong supporters of K-12, vocational and higher education. Perhaps most important, Boeing’s success showed everyone that Seattle has the right climate to create and build products and companies that change the world in remarkable ways. Happy birthday, Boeing — you’ll always be a Seattle company to us.